This neon-soaked shooter is an adrenaline rush worth witnessing. Our review. If you're a PS Vita enthusiast, you likely no doubt remember the trippy, excellent shooter from Llamasoft and Jeff Minter known as TxK. Minter was originally responsible for bringing us remakes of the classic arcade game Tempest, and TxK was one of the coolest tube shooters to evoke the same feeling that cult favorite did years ago. Though he was hit with several legal threats and cease and desist orders that ended up blocking TxK's release outside of PS Vita, Minter wasn't deterred. He went on to create Tempest 4000, a new entry in the Tempest series that's actually published by Atari, SA. The cool part? It's basically TxK, one more time. No one would ever complain about that, given the fact that it's one of the best-looking tube shooters out there. And while it's a bit frustrating to control, and not entirely perfect, it still a colorful and zany riff on one of history's greatest arcade games. If you've never played Tempest before, the premise is quite simple. In a burst of pure, unadulterated arcade action, you take on the Herculean task of piloting the Claw. In a world of bright and colorful vector graphics, you fly out into the sea of black stretching out before you, sticking closely to a tube through which enemies hurtle toward you. acc level begins with rudimentary weapons, until you progress enough to procure power-ups and other goodies to deal out some massive damage. If you miss an enemy, you run the risk of being dragged down the tube to your demise. You definitely don't want that to happen, of course, because you only have a set amount of lives per level to work with. When they're all gone, it's game over. The more enemies you kill, the better items you'll rack up as you make your way through a level. That includes a variety of different bullet types, lasers, and the AI bot as well as the ever-useful jump. The jump power-up lets you literally jump off the edge of the "tube" area to avoid the enemies that have advanced so far toward you that there's nowhere for you to go to escape them. The goal is to of course kill off anything that even attempts to get this close, but if you find yourself in that type of bind, you've gotta find some way out, after all. That's why the jump is so useful. The AI bot is a boon as well, because it'll kill off the enemies you simply can't get to. If for some reason an enemy still drags you away, you can detonate a bomb to get you out of that sticky situation soon enough. Unfortunately, you'll find yourself in some of these precarious fixes quite often, since there are a few niggles with the game that need worked out. Given that the game is all about navigating the tube and blasting enemies, that one mechanics needs to work exceedingly well. Unfortunately, the controls leave something to be desired. It's not as responsive as I'd like when zooming around the tube, and it can be a bit unwieldy at times to simply move about the tube. It can take some getting used to, at the very least. I also found that the motion control-based in between levels, where you can guide your avatar through a series of hexagonal shapes, was difficult to control as well. You utilize your DualShock 4's motion controls to accomplish this, and it wasn't as polished as it could have been. I found myself saying that about several things while playing, all related to the control scheme, which is unfortunate since almost every other aspect of the game felt just right. If you can get past the control issues, however, you'll find a lot to love here. Tempest 4000's Classic, Pure, and Survival modes offer new ways to play, depending on what you're in the mood for. The stark black background characterizing the abyss from which enemies fly in from, as well as the frantic gameplay and blooms of random colors are well worth experiencing, even though the game can be frustrating at times. 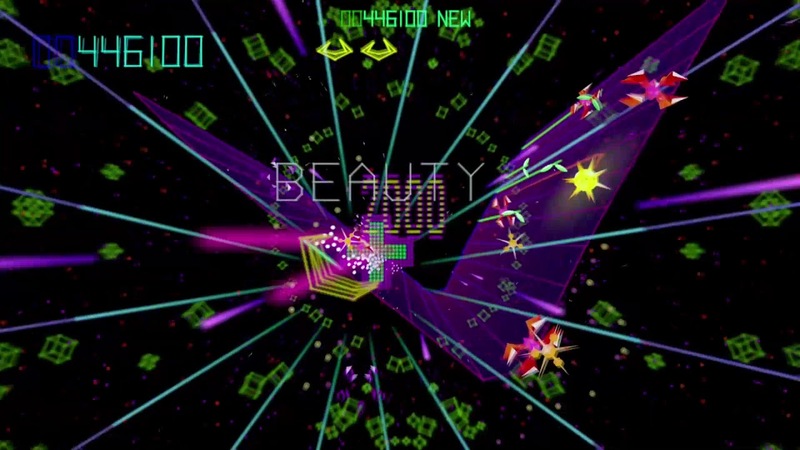 As a fan of the classic Tempest and vector graphics in general, I found that there was still plenty to enjoy with the upgraded effects, enemies with noticeably higher polygon counts, and the pithy statements that popped up as I blasted my way through the game. Unfortunately, there won't be much to keep you blasting through the game once you've had a few longer sessions. It's quite the barebones package, despite being an uproarious amount of fun in small doses. Some small control tweaks, additional content, and other changes might make this the best Tempest out of the rest, but for now it's still a great diversion and addition to the series' portfolio. This review is based on a PlayStation 4 digital code provided by the publisher. 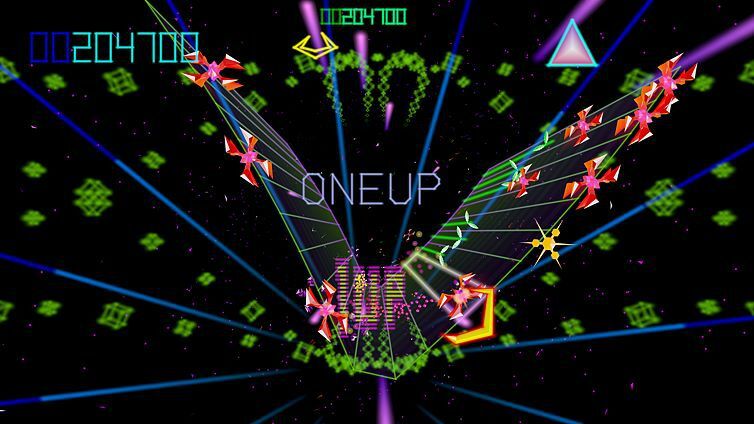 Tempest 4000 is available now for both Xbox One, PC, and PlayStation 4 for $19.99. The game is rated E.
A challenge you'll keep coming back for more of.